Over coffee which stretched across a morning, Rick shared how emergence is a paradigm-shifting way of thinking within a world that thrives on complexity. Emergence arises out of connections and social interactions. These social interactions could be internal to the organization, or external, between the organization and its industry or even between the organization and the larger economy. Emergence itself cannot be directly managed or predicted, but it can be imagined, and the catalysts to allow emergence can be put into place by an enlightened manager. 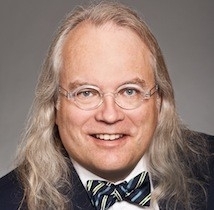 When we said our goodbyes, Rick agreed to engage in a CFAME Connection dialogue that explores how life-long learning positions us to recognize and exploit the advantages emergence offers. Stay tuned! We invite you to share your insights in this upcoming dialogue. Dr. Rick Nason may be on sabbatical until June 30, 2017, but his schedule has not experienced any slowdown. With two new books scheduled to come out in the next few months, Rick’s days are fully “booked” (pun intended). CFAME Connection reached him on location in Illinois to gain perspective on the challenges that face leaders in the next five years, such as shifting work patterns and additional compliance. “Predicting the challenges that face leaders in the next five years is tougher than predicting the weather and a much tougher task than any other point in history.” Rick advised with his usual wit and clarity. 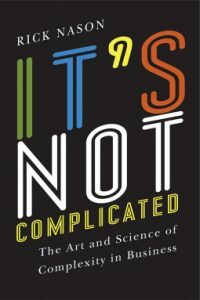 “It’s Not Complicated: The Art and Science of Complexity for Business Success” published by the University of Toronto Press, is scheduled to make its debut this month and can be ordered through Amazon.ca. Stay tuned for more from Rick Nason. He has promised to provide more insight into his book coming in August. Meanwhile, we wish Rick all the best when he takes a well deserved vacation coming up in a few weeks.